Their final clothing sales of the year have been announced and they have squeezed them in just after Christmas. Victorian shoppers keep Boxing Day free. South Australian shoppers you need to hold off until the 29th December. Here is a list of their addresses, their holiday hours may differ so please check first. 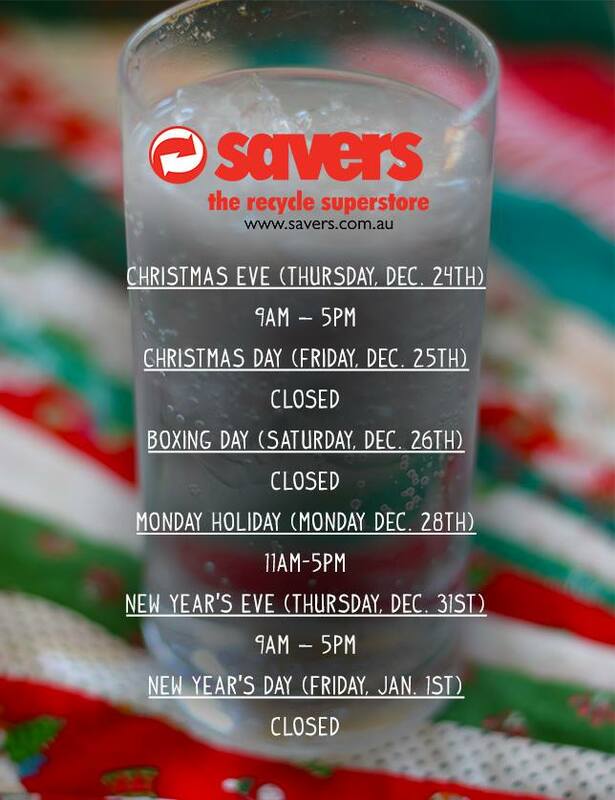 Here’s their South Australian store hours for the next week. All other days we are trading as normal. Victorian stores are open on Boxing Day for the 50% off clothing sale (9am-6pm) and New Years Day. Follow Savers on Facebook here. Find out more about Savers on their website here.